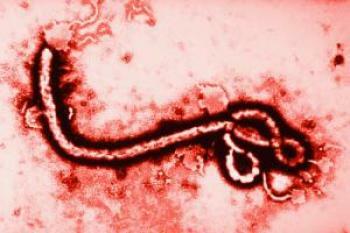 Two employees of U.S.-based nonprofits have contracted the Ebola virus while working in the western African country of Liberia. Efforts are under way to transfer Dr. Kent Brantly, a physician with Samaritan’s Purse in Boone, N.C., and Nancy Writebol, a missionary with Charlotte, N.C.-based SIM, back to the United States. “We are grateful that Kent Brantly and Nancy Writebol made it through the night,” Samaritan’s Purse President Franklin Graham said in a statement on Friday. “They remain in serious condition. The medical evacuations could be complete early in the week.” About 60 other members of the joint Samaritan’s Purse-SIM team are currently being evacuated. More than 1,200 people have contracted the disease in Liberia, Guinea and Sierra Leone since March. Some 672 people have died, including Sheikh Umar Khan, the top doctor in Sierra Leone combating the disease. Khan contracted Ebola earlier in July and Sierra Leone’s chief medical officer confirmed his death on July 29. The timeline of Brantly’s and Writebol’s evacuation and their destination once they reach the U.S. are being kept confidential, according to the Samaritan’s Purse statement.